Welcome, FirstData users! 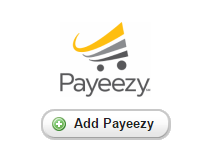 OwnerRez can now take credit card payments via Payeezy! Like FirstData and the Payeezy gateway? OwnerRez now fully integrates with the FirstData/Payeezy gateway for credit card processing. All transaction types (payments, security deposits, refunds, voids) fully work. Like the other credit card gateways we support, head over to Settings > Payment Methods to get started. Select "Add Payeezy" and then fill in the details. We've written up a quick support article on how to find your API credentials for Payeezy. If you have any other questions, don't hesitate to ask.